As our non-photosynthetic forum continues to grow a common question that is asked is: What kind of non-photosynthetic corals are there and what are their care level. It is our duty as members of this forum to help our community grow and help increase exposure of non-photosynthetic corals to reefkeepers. Let's make the thread interesting, interactive, and hopefully a little educational in the process. Beginner: (corals that are to be recommended for a reefkeeper who has kept corals before but has not kept non-photosynthetic corals) these corals are to be the hardiest, simple direct feeding, and easiest to maintain. Intermediate: (corals that are to be recommended for a reefkeeper who has kept beginner non-photosynthetic corals thriving in their aquarium for a period of time) these corals are more moderate in hardiness and require a higher care level than Beginner. Advanced (corals that are to be recommended for a reefkeeper who has kept Intermediate non-photosynthetic corals thriving in their aquarium for a period of time) these corals are more delicate in hardiness and require a higher care level than Intermadiate. In addition, these corals require more dedication to their specific feeding needs (for example:continuous autofeeding of liquid, live, dry or frozen). Expert: these corals should only be attempted by seasoned non-photosynthetic reefkeepers who are aware of the husbandry practices needed to sustain them in a closed system. Feeding: types of food recommended for sustaining the coral and how the food should be administered: direct fed, broadcast, etc. Now these are just the basics to start with. If you have any recommendations to add, feel free to do so. Should be a great thread Aquabacs ! Looking forward to some good replies as well ! Reproduction: reproduces by (asexual) budding, (sexual) planula release, can be easily fragged. Feeding: prefers meaty foods: mysis, prawns, squid, brine shrimp, cyclop-eeze, chopped silversides. Food should be fed directly to the polyp either by feeding tongs or turkey baster daily. Reproduction: planula release, budding, easily fragged. Coral Placement: loves flow, can be glued or epxoed vertically or horizontally. Can also be placed in direct light, but lower in the tank. Feeding: Brine, Mysis, Photoplankton, Cyclop-eese, krill, table shrimp-raw-Meaty foods in small bit size pieces. 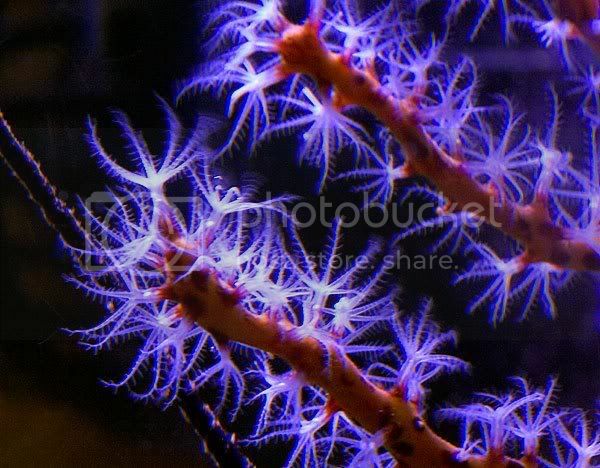 Additional info: This is a very beautiful coral, easy to care for, but should be a decatitated hobbist. Daily feedings will make this coral trive, but keep an eye on nutrient export. Weekly water changes is a must. Reproduction: Budding-They send out tubes from skeleton, and new babies appear. 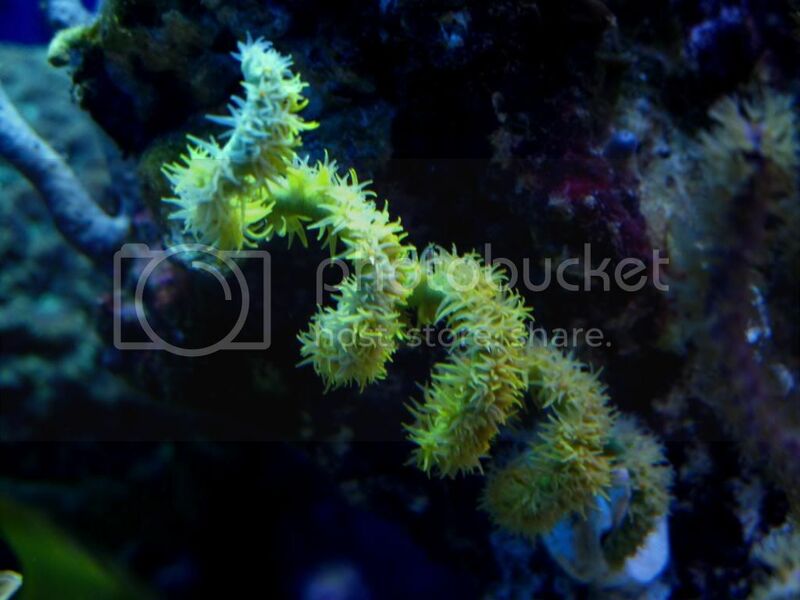 Coral Placement: Can be glued or expoxed to LR, and can be placed in substrate. Like gentle to moderate flow. Additional info: Not a great deal on the net, expensive ($100-$1000), normally from the waters of Japan, but not limited too. It is ok in light, but expands to 5 times it size at night, and after feeding.Rhizotrochus typus is a reef building coral, which has not formed a mutualistic symbiosis with zooxanthellae. Species from the Flabellidae family likely occur up to several kilometers in depth, in the Indo-Pacific region. They feed on plankton, detritus, crustaceans, fish and possibly dissolved organic molecules. R. typus is exported for the aquarium trade. 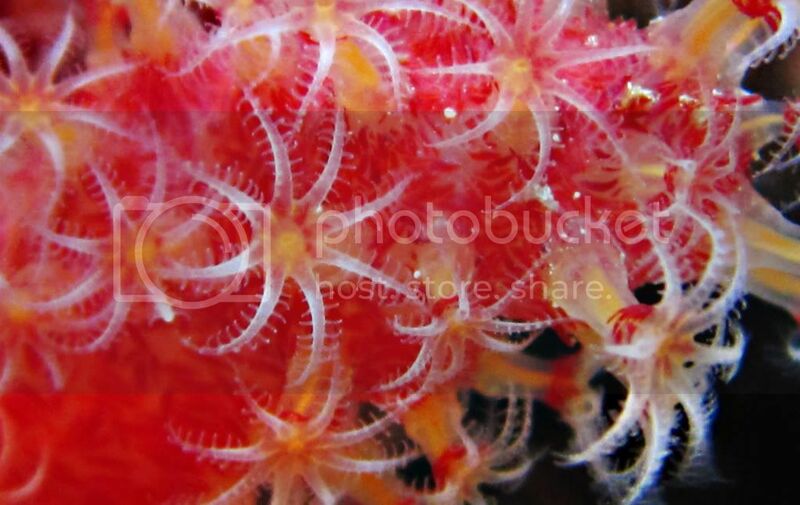 These corals require ample feeding with crustaceans and small fish. I would change this to zooplankton. Also, I would take out the weekly water change requirement, just because everyones tank is different and there are no definite rules as long as water quality is acceptable. Like you said, "keep an eye on nutrient export" is the key. Hopefully , In the end ,someone should publish all the information. As we all know,there are not that many resources . Coral Placement/Orientation Insensitive to light. Unknown whether laminar flow or turbulent flow yields better results, but I have mine directly in the path of a vortech with flow that would probably stress out high flow loving Acropora corals. Feeding: Zooplankton, eggs/larvae, possibly bacterioplankton and detritus. Food should be no larger than frozen cyclopeeze, with the majority being much smaller such as rotifers. 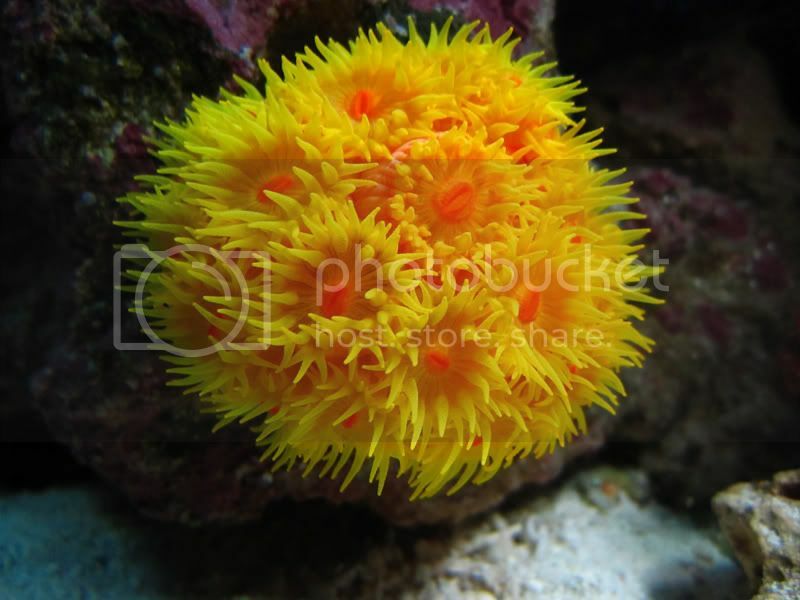 Polyps will retract without constant food in the water. Additional tips or words of wisdom This is a good first gorgonian if you are venturing into an NPS system. They are still difficult relative to most photosynthetic corals. You should feed small amounts as often as possible. A continuous feeding system will yield the best results as the polyps should stay open almost 24/7. If the polyps stay closed most of the time, either you don't have enough flow, enough food in the water or your water quality is too poor. This coral will grow vertically from the tips and "encrust" from the base if it is healthy. It will grow in the direction of the strongest flow and can handle literally being blasted with it. The tissue gets algae and detritus build up easily and should be kept clean (high flow will help a lot). Last edited by uhuru; 04/14/2010 at 04:02 PM. Awesome job guys! Keep them coming. Timeless1483 dont forget to add pictures of the coral you are speaking of It will help the reader/reefer connect an image with the information. Anyone with [ waiting on ] Trikentrion flabelliforme /Red Spider Sponge experience ? Common name: Chili Sponge, Strawberry Coral, Encrusting Leather Coral and Red Finger. Coral Placement: loves flow, can be stuck between rock, or glued if attached to piece of LR. Vertical or horizontal. Best place is in shaded area, but can tolerate the light at bottom of tank. Feeding: Brine, Zooplankton, DT, Cyclop-ezze. Additional info: Chili Coral grows to a maximum of six inches in length. Chili Coral may be found in purple, yellow, orange and red colored varieties. Some what difficult to keep, requires food a few times a day, will stay open most of the day. Coral Placement: Prefers lots of flow, doesn't care about lighting. Cuttings can be epoxied to a structure piece. Feeding: Eats just about anything. Seems to love cyclops and mysis. Additional: Appears to be a great beginner coral. It is relatively new to the aquarium world so not a lot of information out there. I feed mine 3 to 4 times a week directly and it is always grabbing anything that floats by. In nature they are found in deep waters. They grow everywhere conditions are right from Florida to the indo pacific. The indo ones seem to have the best color. Ranging from purples to blues to yellow to a combination of all of the above. Used and sort after in Asian cultures and for jewelry. The calcium structure left behind in death is a hard black skeleton. It can be polished to a shinny black stone. Last edited by slapshot; 04/14/2010 at 07:53 PM. Coral Placement: Can be glued or expoxed to LR, likes moderate to fast flow. Feeding: brine, zooplakton, mysis, Meaty foods. Additional info:This coral catches prey primarily by nematocysts and spirocysts on its tentacles, but may open its mouth widely and capture some prey with the mesenteries inside its gastrovascular cavity . This species is known to be able to absorb dissolved organic carbon from the water. The polyps of this coral are solitary. Thanks every one! This is going to help a lot of us that are trying to learn more about NPS. Also save you from answering the same questions over & over. Thanks & keep up the good work! Are these then probably the best for those with only natural lighting? Thread stuck to the top!!!! Thanks for your help Skip. You rock! Feeding: Gorgonians are suspension feeders that filter small food particles from the water column: zooplankton, eggs/larvae, possibly bacterioplankton and detritus. Food should be no larger than frozen cyclop-eeze, with the majority being much smaller such as rotifers. 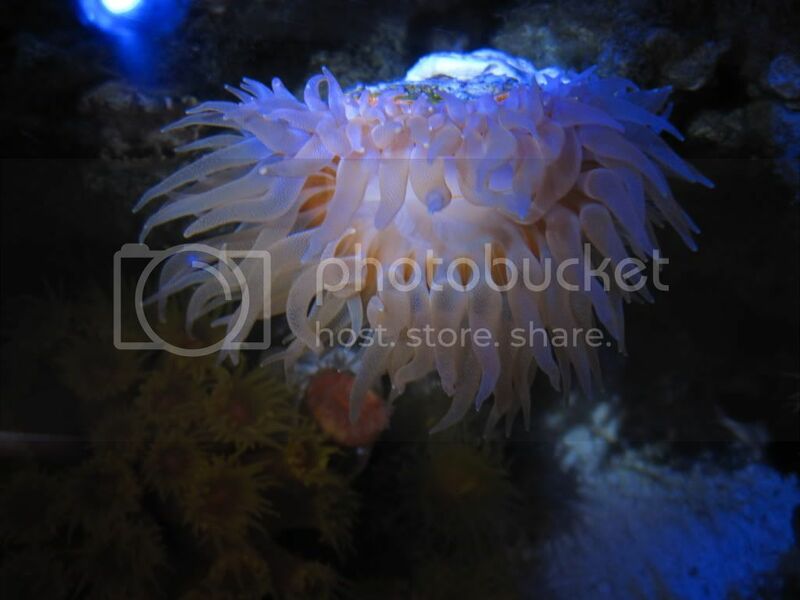 Polyps will retract without constant food in the water. Additional tips or words of wisdom This large polyp species of gorgonian is one of the more easier species of non-photosynthetic gorgonians to keep. 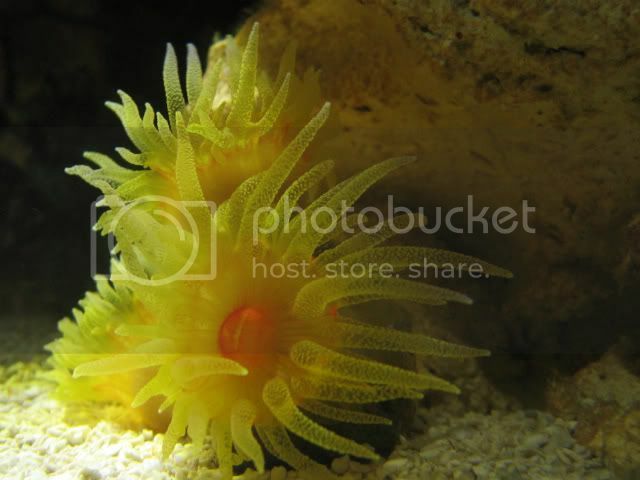 They are still difficult relative to most photosynthetic corals and should be attempted once Beginner non-photosynthetic corals have been able to be sustained in the aquarium for a period of time. You should feed small amounts as often as possible. A continuous feeding system (dry or liquid) will yield the best results as the polyps should stay open almost 24/7. If the polyps stay closed most of the time, either you don't have enough flow, enough food in the water or your water quality is too poor. This coral will grow vertically from the tips and "encrust" from the base if it is healthy. It will grow in the direction of the strongest flow and can handle literally being blasted with it. The tissue gets algae and detritus build up easily and should be kept clean (high flow will help a lot). Note: Coral can "wax over" and shed. While this process is occurring, polyps will not expand. The process can be assisted by using a turkey baster to gently remove the "waxed over" coating. Coral will have a "new" appearance after this takes place. 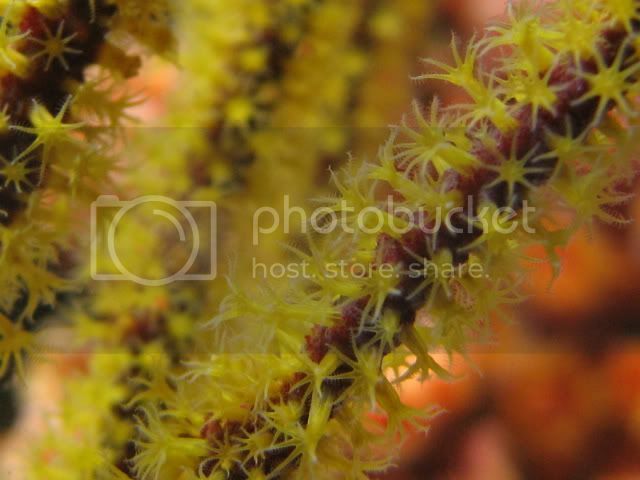 Additional tips or words of wisdom This non-photosynthetic gorgonian is one of the more difficult species to keep. Should be attempted once Intermediate non-photosynthetic gorgonians have been able to be sustained in the aquarium for a period of time. You should feed small amounts as often as possible. A continuous feeding system (dry or liquid) will yield the best results as the polyps should stay open almost 24/7. If the polyps stay closed most of the time, either you don't have enough flow, enough food in the water or your water quality is too poor. This coral will grow vertically from the tips and "encrust" from the base if it is healthy. It will grow in the direction of the strongest flow and can handle literally being blasted with it. The tissue gets algae and detritus build up easily and should be kept clean (high flow will help a lot). Great additions to the thread Mike ! Also congratulations ,you just got the first NPS sticky ! 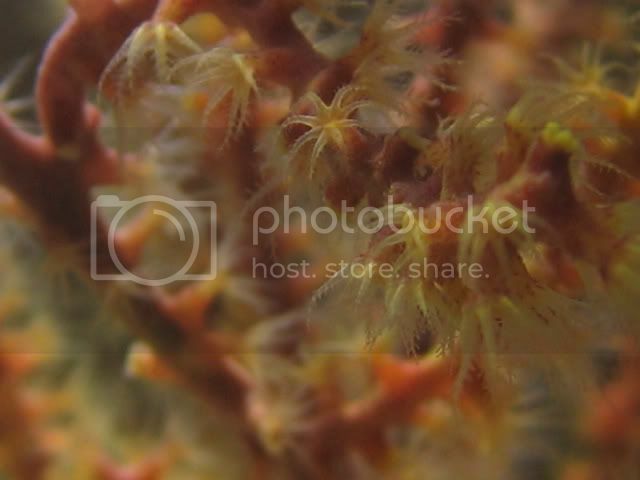 Type of coral: Octocorals, soft coral, Sea whip family. Coral Placement: Bottom, no light requirements, place in substrate-root like structure. Feeding:Filter feeder. Phytoplakton, zooplakton, ect. Additional info: sea pens are colonial animals with multiple polyps ,a sea pen's polyps are specialized to specific functions. 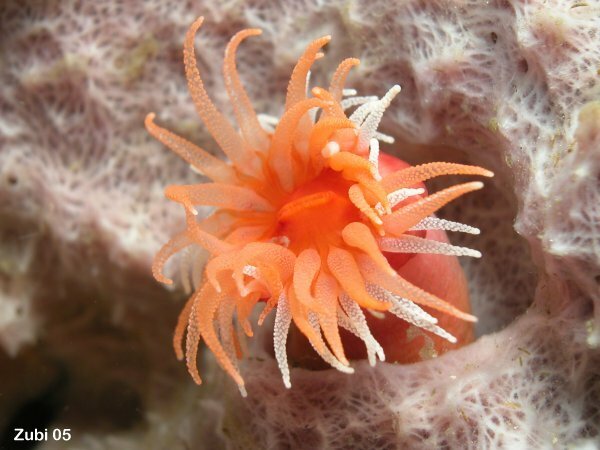 Normally found in 10+ m deep waters, low flow areas.Their primary predators are nudibranchs and sea stars, some of which feed exclusively on sea pens. When touched, sea pens emit a bright greenish light; this is known as bioluminescence.